Whether you are hiring for a position at your office or positions in your branch offices (or for a position at your client’s location, if you are a staffing agency), stating the location at the time of creating a job opening is an easy task with Jobsoid. 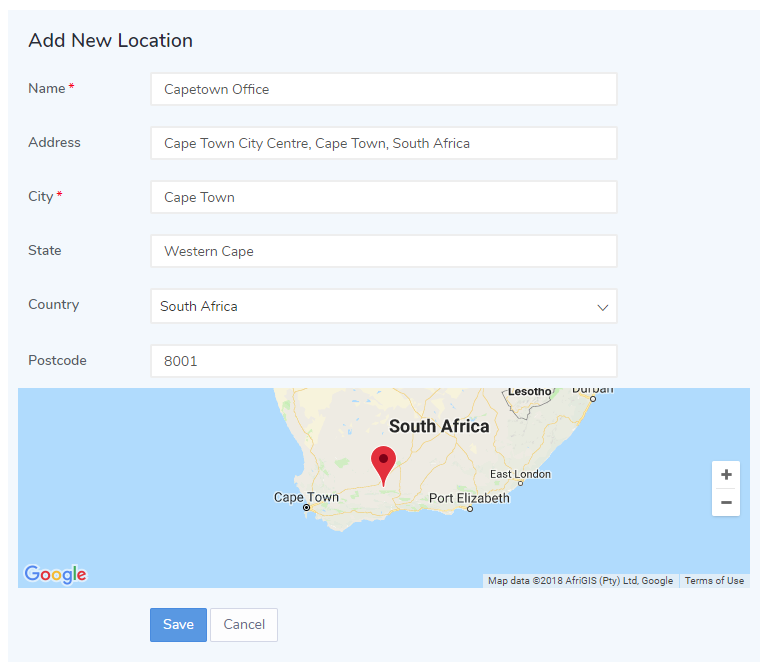 The location not only helps your candidates in finding your office easily but is also required when you are posting the jobs on the job boards. Once you enter the details of your office location, it is automatically tracked on the Google map. The candidate coming in for the interview does not face difficulties in locating your address with the help of these maps. Jobsoid allows you to edit and delete these saved locations whenever you wish to. Click on the Edit and Delete icon beside the Location name and do the required changes. Note: You can also enter the name of the City, State, Country and Postcode manually.